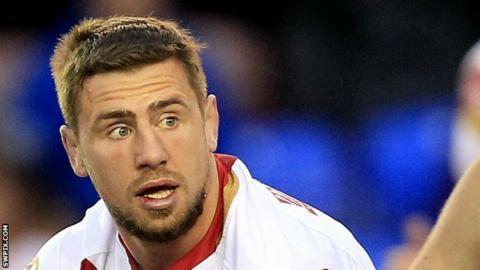 The 31-year-old was forced to go off during the Dragons' 46-0 thrashing at home by Salford Red Devils on Saturday. The club said a scan showed the Ireland international, who joined them from Wigan, does not require surgery. Catalans have won two of their five Super League games this season and next face Hull Kingston Rovers on Sunday.